Liechtenstein is vibrant! There are plenty of attractions for all tastes: Museums, banks, boutiques, family entertainment, ski resorts, historical sites, sport facilities, vineyards etc. Vaduz Castle, situated on a rock formation above the capital, dominates the city of Vaduz and offers a wonderful view of the Rhine Valley. Also recommended are visits to the State Art Collection, the National Museum, the Postage Stamp Museum and the Ski Museum. There are also Liechtenstein wines to be tasted and the local cuisine to be tried out in historical and traditional restaurants. Winter sports in Liechtenstein are concentrated in two areas, Malbun and Steg. In Malbun, there are two chair lifts, four ski lifts, one toboggan run and a well- maintained network of footpaths. A loipe, 10.5 km long, has been laid out for cross-country skiing enthusiasts and includes an oval area, 1.7 km long, which is illuminated for use at night. A toboggan run of 1 km in length from the Suecka restaurant in Steg is likewise equipped with lighting. 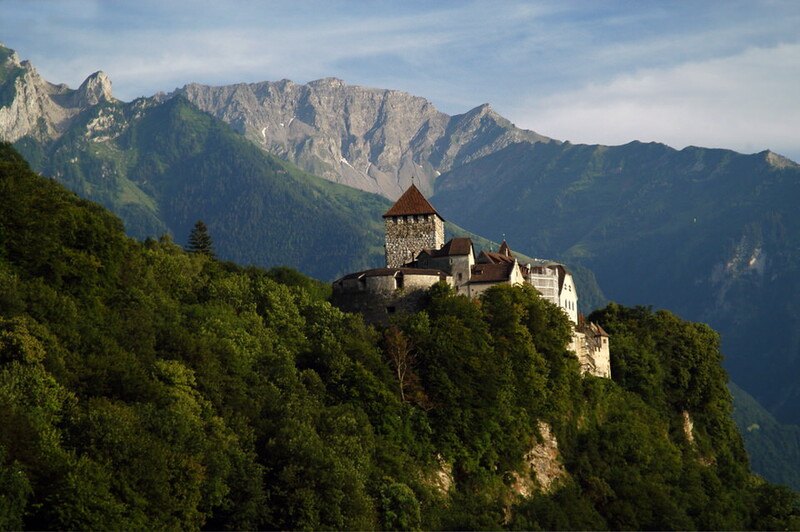 Leisure Activities: Mountain climbing, rambling, angling, hunting, swimming, riding, cycling, tennis, squash, billiards, alpine skiing, cross-country skiing, skating and tobogganing are only some of the leisure activities which can be pursued in Liechtenstein. Fitness centers, public Kneipp cure facilities and Vita jogging circuits are also available. Carriage rides and para-glider and delta passenger flights are also offered. Cinemas and numerous dance spots and bars cater for evening entertainment.